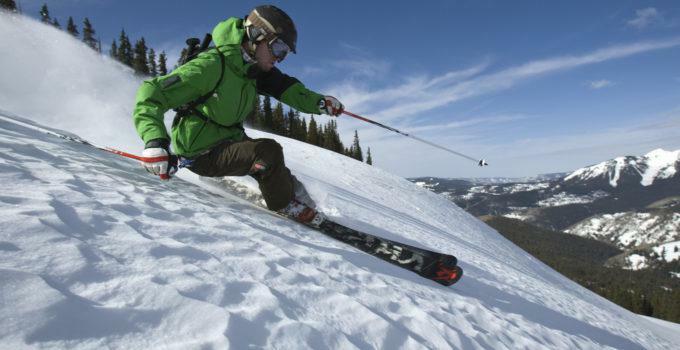 Skiing can be a fun, high-intensity winter sport for anyone. Keep in mind though, that there are many risks that come with skiing, and you may be prone to injury. Some of the most common areas to injure are the head, neck, knees, shoulders, and hands. There are steps you can take to prevent injury and will make your experience even better. Skiers, especially inexperienced ones, face the risk of falling, and this can lead to damage of many different areas of the body. Falling on your head, neck or shoulders can lead to concussions, neck strains and fractures. You can prevent this by wearing the appropriate headgear and clothing while skiing. Also, only ski down slopes that you are or will be comfortable with. Following these tips can drastically decrease your chances of injury. Thumb injuries are also quite common when skiing. If you fall, your thumb can become strained while it is still in the ski pole strap. This acute injury can be difficult to prevent, so be mindful and very careful while you ski. If you do suffer from an injury like this, make sure to rest and ice it. Knee injuries are common as well, due to the twisting and turning that one does while they ski down a slope. To prevent this, you can wear a brace while you ski, and make sure to exercise and stretch before you do anything, as this will loosen up your joints and muscles. Don’t forget to always bundle up and stay warm because hypothermia can be an issue too if you’re not careful. Keep all of this in mind and you will have a great experience skiing every time.